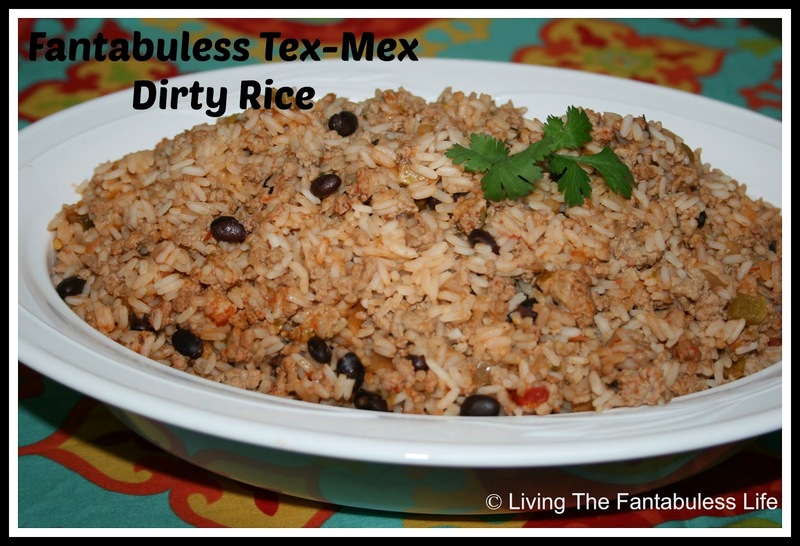 Tex-Mex Dirty Rice is a staple on my monthly dinner menu. Since it’s a one skillet meal, it’s easy to make and easy to clean up. Since my children love this easy dish, I always make a double batch so we can eat some tonight and later on in the month. 1. Cook meat, onion and bell pepper together in skillet until meat is no longer pink. Drain meat and return to skillet. 2. Add rice, salsa, water, bullion and beans, stir together and bring to a boil. 3. Reduce to simmer, cook 40 minutes. 4. Remove from heat, fluff with fork.